“I guess the hamburger was meant to be, after all,” Hayley said, smiling. “Yeah. I guess so,” Mariah agreed, and the stone of dread slipped deeper into her belly. Should she skip the party? Was it too late to beg off? Tell Hayley she felt sick or needed to rest before the marathon tomorrow? No way. She would never buy it. “Do you have everything ready to go for tomorrow morning?” Mariah asked, trying to take her mind off the hamburger. “You carb load every day.” Mariah tried to keep up a teasing tone, tried to sound normal and not like an old worrywart. Mariah watched Hayley happily chomp away at her hamburger and fries, wearing the lavender outfit she had seen through the sunglasses the first morning they had them. So far all the visions had come true. Should she tell Hayley about the vision of the ambulance? It might scare her, and there was no need to have both of them scared. She just wouldn’t drive. They’d be safe if Hayley did all the driving. Suzanne will be awarding pair of designer sunglasses to a randomly drawn commenter during the tour (US/Canada only) and a $10 Amazon GC to a randomly drawn host. Follow the tour and comment; the more you comment, the better your chances of winning! Thanks so much for having me on your blog today! You asked me to share a guilty indulgence. I have so many, it was hard to decide which to write about. But they’re not too sinful, so I decided to share a full day’s worth. Here’s a way to spoil yourself from dawn to dusk. I’ve been known to do this on occasion, when I really needed a break. It’s almost like having a mini vacation at home. In the morning, begin by getting a pedicure with a foot and leg massage. It’s so relaxing, and you can feel the tension sliding away from you as you soak your feet. Make sure you go to a salon that has the chairs that massage your back. That way you’re getting relaxed from head to toe. Ask for the salt scrub on your feet and legs, and your skin will feel like silk when you’re done. After the pedicure, you can’t just go home, right? Head over to a tea shop or coffee shop and buy a rich, delicious drink you wouldn’t ordinarily have. Something frothy, with whipped cream and caramel or chocolate on top. On the other hand, a cup of coffee or tea with cream and scones is wonderful too. Now that your coffee break is done, get in your car and go to your favorite clothing store. Tell yourself you’re only allowed to buy one thing. That way you’ll be sure to buy the thing that makes you the happiest and feels like a treat. Don’t buy something you need, like socks or tennis shoes. Buy something that makes you want to go to a party and flaunt your new item! If you like massages, go get a hot stone massage. If not, treat yourself to a lunch at a classy restaurant. No burgers and fries today. Sometimes I’ll head to a local historic district for shopping, and for lunch, I’ll have a giant chocolate covered strawberry. I’m telling you these strawberries weigh half a pound! Afterwards, pick up a new paperback book or gossip rag. Make sure it’s something you don’t have to worry about getting wet, because you’re heading to the pool to float on a cushion. The floating cushion should be a comfortable raft with a cup holder, because you’re going to have a drink with you. Sometimes margaritas hit the spot, sometimes chocolate mudslides do the trick. You need an icy cold drink for the pool. While you read your book and down your drink, enjoy soaking up the sun. By the time you get out of the sun and shower, it should be close to dinner time. Put on that new outfit you bought today. Order take out Chinese food, and light some candles. Enjoy the dinner and candles with a romantic movie. After all that, you can officially say you’ve been pampered. Suzanne Lilly is a writer at night and a teacher by day, which is why she’s known online as the TeacherWriter. Her articles and stories have appeared in numerous places online and in print. She writes light romance, young adult, and middle grade novels. When not busy with words, she enjoys swimming, hiking, reading, fine arts, and cooking. She lives in California with her family and furry friends and has yet to feel an earthquake. You can follow her on Twitter as @suzannelilly, visit her blog at http://www.teacherwriter.net, or her author website at http://www.suzannelilly.com. Available at Amazon http://www.amazon.com/Suzanne-Lilly/e/B006HY79IY/ref=ntt_dp_epwbk_2 and most online book retailers in digital or paperback. Thank you for hosting Suzanne today. This looks like a good book. Thanks for sharing this featured author. 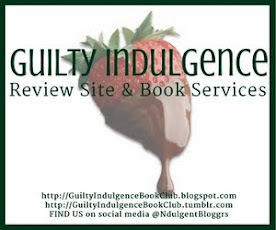 Thanks for having me on your Guilty Indulgence blog today! Thanks for stopping by, Paloma! I've entered you in the contest for the designer sunglasses. Thanks for stopping by, bn100! You're entered!